SAN FRANCISCO, Nov. 29, 2018 — Beamery today announced the launch of Beamery 5, the biggest update to its leading Talent Engagement Platform since the company’s inception. The new release introduces a vastly upgraded CRM experience and the industry’s most precise automation suite to date. 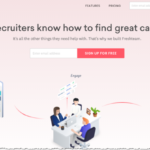 his new iteration offers talent acquisition teams richer candidate profiles, smarter filters and enhanced Pages and Forms to deliver exceptional always-on candidate experiences. These changes will enable Beamery users to work faster and smarter, and build more personal relationships with the most qualified talent on the market. Supercharged CRM incorporates a number of upgrades, making it smarter, more configurable, and 10x faster than the previous release. Faster Automation introduces the industry’s most powerful and intuitive automation module allowing talent acquisition teams to automate complex workflows, develop personalised candidate journeys at scale, and drive overall efficiency. Smarter filters, with enhanced Boolean capabilities and a search function that looks through resumes and attachments, make it faster and easier to locate the right candidates. Advanced candidate profiles surface essential candidate information more seamlessly, creating a central point for managing informed, relevant interactions with each candidate. World-class, fully branded candidate experience enables talent acquisition teams to truly showcase their brand and create tailored, engaging candidate experiences, with the flexibility to customize layouts, fonts and rich media without requiring a single line of code. The launch of Beamery 5 comes on the heels of momentous growth in 2018. Earlier this year, the company secured a $28M funding round led by EQT Ventures with participation from M12 (Microsoft’s venture fund), and existing investors Index Ventures, Edenred Capital Partners and Angelpad. Beamery was also recently voted one of the UK’s Top 25 Startups of 2018 by LinkedIn.